Nigeria’s coach Gernot Rohr on Friday said his team’s 2-0 defeat of Iceland was all down to technical transformation and sacrifices by the duo of Mikel Obi and Victor Moses. Nigeria beat Iceland 2-0 at the Volgograd Arena in a Group D match at the 2018 FIFA World Cup in Russia, with the win pushing them into contention for qualification. Rohr who spoke at the post-match conference also praised his team and coaching staff for working hard to achieve the victory. “We changed our formation to 3-5-2 and it was good for us. It was a different style in defence. “Kenneth (Omeruo) is so strong in the air and we needed that to cut off the crosses by Iceland into the box and also the set-pieces. “The players, as well as all the staff, worked so hard in the past six days or so for us to be ready for Iceland and be able to achieve this. “Everybody was not happy after that loss to Croatia and we all realised that we must get going to be able to realise our dreams,’’ he said. The coach added that the team also benefited from the sacrifice made by the duo of Obi and Moses who opted to play as needed and asked of them. “Mikel has in the last two years been playing as an offensive midfielder, especially now in China, while Victor has been playing as a forward. But we needed them to play in different roles today. “We needed to convince them to make the sacrifice for their country, and they accepted. They played so well in these roles and the team and their country benefited. “It is not easy having to do so, especially when you have to combine defensive duties with offensive duties. But the team is now the better for their sacrifice,’’ he said. Rohr also praised two-goal hero Ahmed Musa, saying his speed as well as his work rate helped a lot in pushing back Iceland in the second half especially. “We realised at half-time that we needed to do something to change the game, and that was why we brought in Tyronne Ebuehi to add more offensive force on the left flank. “Musa now added to it with his speed, and this changed the game for us. By the time we did more of counter-attacks, and with quick passes in the middle we had the game in control,’’ he said. The coach nonetheless praised Iceland for their game, saying “they gave us a good fight, they were fair and showed good attitude, even after the game’’. 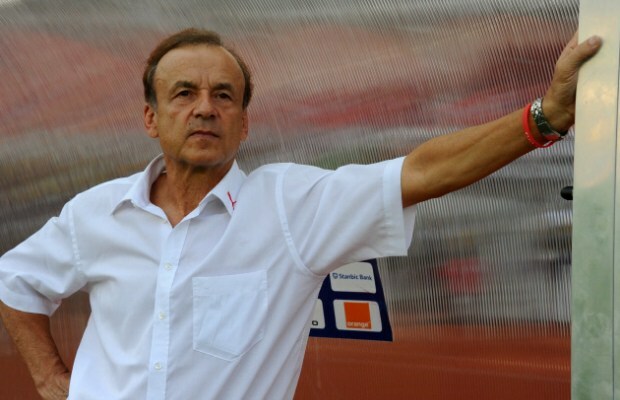 0 Response to "Why Super Eagles Beat Iceland – Rohr"